Lord Norman Lamont – Former Chancellor of the Exchequer, Author and Keynote Speaker. Lord Lamont was at the centre of British politics for many years. He was a Cabinet Minister under both Margaret Thatcher and John Major, and was a member of the House of Commons for twenty-five years. 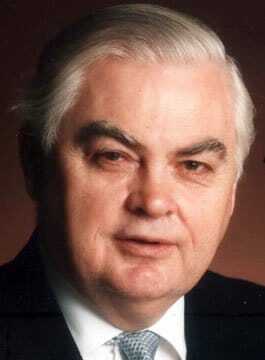 Norman Lamont was Chancellor of the Exchequer (Finance Minister) from 1990-1993 and introduced three Budgets. He inherited the policy of membership of the ERM, which made it a difficult and controversial time to be Chancellor. This culminated in Britain’s exit from the ERM in September 1992. Many Economists have attributed much of the economic stability and low inflation enjoyed in his first years by Gordon Brown to the policies introduced by Norman Lamont after Britain’s exit from the ERM in September 1992. These new policies included an inflation target for the Bank of England and a tough tax raising Budget in 1993. Sir Alan Walters, economic advisor to Lady Thatcher, in a letter to the Times described Lord Lamont in his “post ERM phase”…. “to be not only the most effective but also the bravest Chancellor since the war”. In 1998, Norman Lamont published a self-deprecating and amusing account of his time as Chancellor under the title “In Office”. His book was described in the Independent newspaper as “Out of the top drawer of political memoirs”. Currently Lord Lamont, as well as being a working Peer, is a director of, and a consultant to a number of companies in the financial sector. He was made a Life Peer in July 1998.